Gregor Townsend hopeful of having full back available after initial fears over his shoulder. 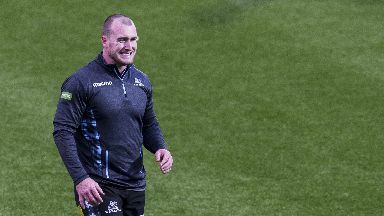 The full extent of Scotland star Stuart Hogg's shoulder injury will not be known until the player has seen a specialist, according to head coach Gregor Townsend. 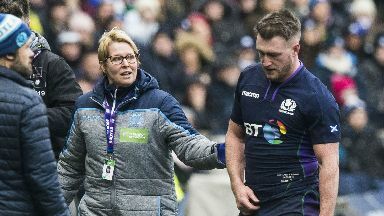 As reported on the STV News at Six on Tuesday, initial fears among medical staff were that Hogg would miss the rest of the Six Nations championship after landing awkwardly in the early stages of Saturday's defeat to Ireland. 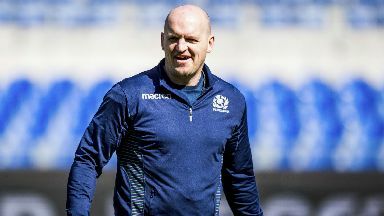 Townsend remains hopeful that he will have the Glasgow Warriors full back available for some part of the 2019 campaign. He said: "It is news to me that he's out for the Six Nations because we are still waiting to see how he recovers and he's due to see a specialist later on Wednesday. 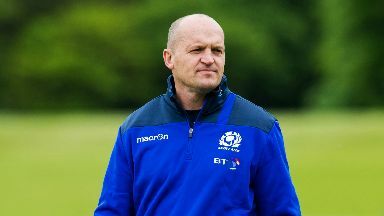 "We will know more about his chances of playing over the next few weeks but I am still hopeful that it is good news and he will be available to play some part in the Six Nations." Huw Jones, who suffered a knee injury in the match, is also being monitored before the extent of his lay-off is discovered. The incident that saw Hogg sustain his injury was controversial, as Ireland's Peter O'Mahoney collided with the 26-year-old after he had kicked ahead. 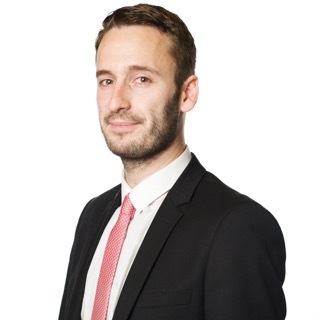 Townsend felt the contact was worthy of a penalty, but referee Romain Poite played on, resulting in Ireland attacking the space vacated by Hogg and scoring the opening try of the match. The Scotland boss said: "It is clearly a penalty and potentially worse, because a player has tackled someone without the ball and not used his arms to tackle. "So it is really disappointing that it wasn't checked. It could have come back, because it led to the try and the TMO should have come in to check an incident that I am sure the referee was not 100% clear on at the time because it happened so quickly. "Even more disappointing is that we lost the player who would have covered that kick, and then lost him for the rest of the game as well." Blair Kinghorn deputised at full back on Saturday and could be handed the 15 jersey for the trip to Paris to face France next week. Townsend is happy with his options in the back three, and said: "Blair obviously had a great game against Italy and he backed that up. "It was just a pity we didn't get that multi-phase attack game we got in the first half for someone like Blair to get on the ball more. "We have good strength-in-depth in the back three. We have Darcy Graham who has been playing really well, Tommy Seymour and Sean Maitland have both played at full back and are very experienced players. "I believe Byron McGuigan is back this week for [Sale Sharks] so if Stuart is missing, which we really hope is not the case, then we have other players who have played international rugby and who are in really good form."